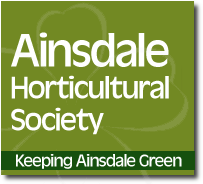 The Ainsdale Horticultural Society will hold their 99th Summer Show Saturday 6th July on Ainsdale Village Green. Started in 1912, with breaks for the first and second World Wars, the Village Green is transformed into a lively showground with three large marquees for Adult and Senior School exhibits, Children's exhibits both individual and local schools taking part with numerous entries achieved during the school day; Catering providing hot and cold food and a licensed Bar with a Deli counter. The Show is open to any person wishing to exhibit and encompasses fruit, vegetables, flowers, handicrafts, floral art, photographs, art and confectionery. A Show Schedule is provided listing all classes. At present this is at the printing stage but on our website the Schedule for 2018 can be sourced to view the classes and when the 2019 Schedule is printed will be replaced. A paper version can be obtained by sending an email to ainsdalehs@gmail.com and addressing the email to Carolyn who will arrange a copy to be delivered. The Children's Section also have a printed Schedule. 2018 can still be seen the website but will be replaced with 2019 version and an email to the Society, either personally or by a local school, addressed to Louise will ascertain a paper copy. The Catering/Bar Marquee as mentioned will provide hot and cold food and drinks throughout the day but VOLUNTEERS are urgently needed on a rota basis. Please email the Society through the website addressed to Tricia, who will accept emails for the Catering Chairman. Entertainment in the Arena is provided through local schools and local organisations such as gymnastics, martial arts, dance song etc. Janet arranges the Arena events and an email to the Society addressed to her will ensure any queries will be answered. Around the perimeter of the Village Green 3mtr x 3mtr pitches are available for hire by Traders, Charities, Clubs etc., virtually anyone wishing to sell or showcase their organisation. The same applies to the Craft Marquee where 6' tables may be hired. On our website Craft Marquee and Trade Application forms are already available but to save time an email addressed to Nikki or Amanda will ensure sites are not duplicated before completion of the application form. Three Marquees are erected on the Village Green and when not in use for Show purposes may be hired. Respectively they have a capacity for either 400 or 350 persons. If you would like more information please email ainsdalehorti@gmail.com addressed to Tricia. Finally our aim is to provide a wide range of interests to as many age groups as possible whether horticultural, children, flower arranging (sessions available to those interested) or just enjoying a family day out. 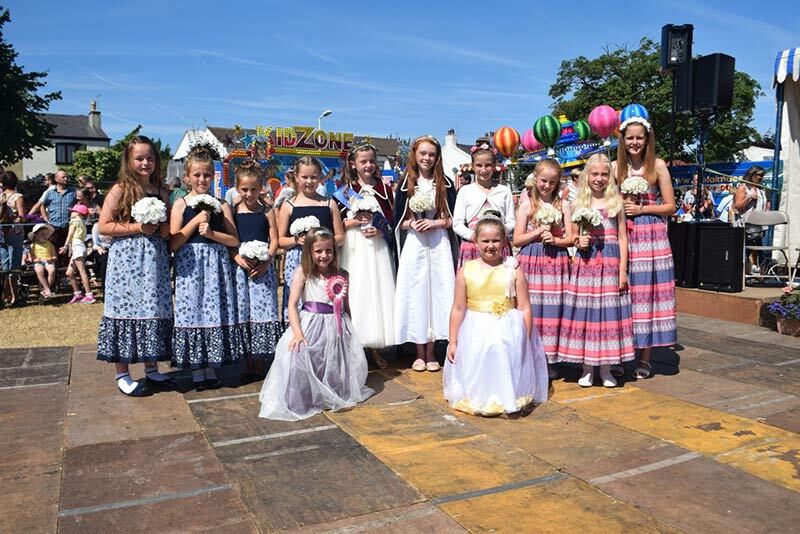 The day starts at 10.30am with a parade through Station Road to the Village Green and the crowning of the 2019 Floral Queen and the young people can then enjoy themselves at the Side Shows or the fairground rides. Entry is by presale tickets from Chocolate Box, Blooming Crafty Florists, Many Happy Returns Travel Agents or paying at the Gate. This is a day for all please come and enjoy yourselves. The 2018 AINSDALE SHOW will be held on Saturday 14th July. We have moved the show a week later in 2018 due to the Southport Air Show taking place on the first weekend in July. Following on from the poor Summer Show 2016, both financially and weatherwise, the Executive Committee welcomed Peter Wood's lifeline of £5000.00 in honour of his grandfather (a founder member of the Society). I certainly felt the 2017 Show had reached a "make or break" situation and I am pretty certain the Exec Committee felt the same. January 2017 it certainly was all systems go. Nikki Mc Caughrean offered her services as Trade Stand Manager and together I found myself going through Trade Application Forms dating back many years and passing likely interested parties onto to Nikki who followed up via websites, email addresses etc. We got together frequently and initially slowly recruited Traders to take up pitches. January may seem early but it really did take six months to slowly increase the numbers of Traders. Of course June then saw a flurry of people wanting pitches so all was well and 32 pitches were taken up. I was determined we should find attractions for teenagers hence the ferris wheel and the lily pad bouncing pods. The ferris wheel being assembled on the Thursday certainly whet many appetites and both attractions were immediately successful. We had a fabulous attendance , as Clive has commented in the past, if you cannot see the grass for people we have a good show. The Show Dance organised and run by Ian and Diane McCarter made enough money to cover expenses, the first time we haven't made a loss, likewise the Car Boot was again well attended and successful. We hired two marquees to the So Talented Group for their Summer Show and a small number of us served refreshments. If we do this again we will have to provide food; it seems watching your offspring perform makes you very hungry. As you can appreciate the whole run up to the Summer Show was hectic but it paid off and from Keith's report we made a profit. Peter's donation apart, it's the first time we have made such a profit in the 11 years I have been Chairman. Talking as Chairman, I put my name forward in 2006 because the Society was not in a good place and I thought I might be of help although at the time I didn't know we had lost £8.000 at the Summer Show and all the Children's Committee had resigned. I recruited a number of people onto committees mainly in Dobbies because it was newly opened and plenty of people were going to see what it was like. I did at times feel I was being avoided but the opportunity was there and I look advantage of it. Of late lack of numbers in the Committees has meant I have stepped in. I have been accused of being "too hand's on" but I feel if the Chairman is willing to do whatever it takes then everyone else are willing to give it a go. I confess I have had to push myself well beyond what should be expected of anyone and this is the reason after eleven years I feel it is time for a younger person to take over. BUT we need more members in the Committees. Many hands make like light work and if the load can be spread putting on a Summer Show, the like of which we have managed to update and improve upon, would be so much easier. We need a Secretary, another role I have assumed, and we do not have a Catering Chairman or a Committee. There are members willing to help on Show Day but we are desperate for leaders. v After serious thought the Exec decided to discontinue the monthly talks. On average speakers' fees are £60 and the Hall rental is £24.00. Most attendances are between 12 and 20 people. Apart from being embarrassing the Society cannot sustain the losses. I thank Keith for his support as Treasurer. He has been under a great deal of strain with the improvements to St. John's Church which are still ongoing and initially he said he would be Treasurer as long as I was Chairman so we are both throwing our hats in the ring but Peter volunteered to take on the role of Treasurer and the Society coffers couldn't be in safer hands. Finally I thank the members of the Exec Committee for their support over the years. The Summer and Harvest Shows and Plant a Pot have always been joint occasions achieved by all of us and I thank them for their support and tireless energy. The Garden, maintained to a high standard, relies solely on volunteers for its ongoing maintenance.